Another Award for HCH Ltd. The homecare.co.uk Top 10 Home Care Awards 2017 highlights the most recommended Home Care Providers in each region of the UK. The Awards are based on over 4,750 Reviews by Customers and Family / Friends of Customers. Thank you to all our staff, our customers and their families who continue to support us. This entry was posted on 6th June 2017 . Leiston, Saxmundham, Knodishall, Aldeburgh, Yoxford and Kelsale and surrounding areas. Southwold, Wrentham, Kessingland, Mutford, Gisleham, South Lowestoft and surrounding areas. Applicants must be able to work alternate weekends. HOW TO APPLY – To apply you will either need to download and complete the Application Pack (opens using Microsoft Word). You can complete the pack on your computer and send it to us via email or print & post it to us contact details can be found on our website. www.heritagecareathome.co.uk. If you cannot download the document please contact us on 01728 833899 with your address and we can send you a pack out in the post. If successful we ask that applicants pay towards the cost of providing a DBS check (formally CRB), currently this is £60. This entry was posted on 28th October 2016 . 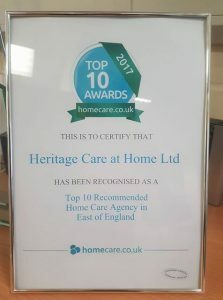 Here at HCH Ltd we pride ourselves on delivering the best possible care to each of our customers that we can and the care that they so rightly deserve. So we were very pleased to find ourselves in the running for the ‘Customer Focus Award‘ at this years Suffolk Coastal Business & Community Awards 2016. 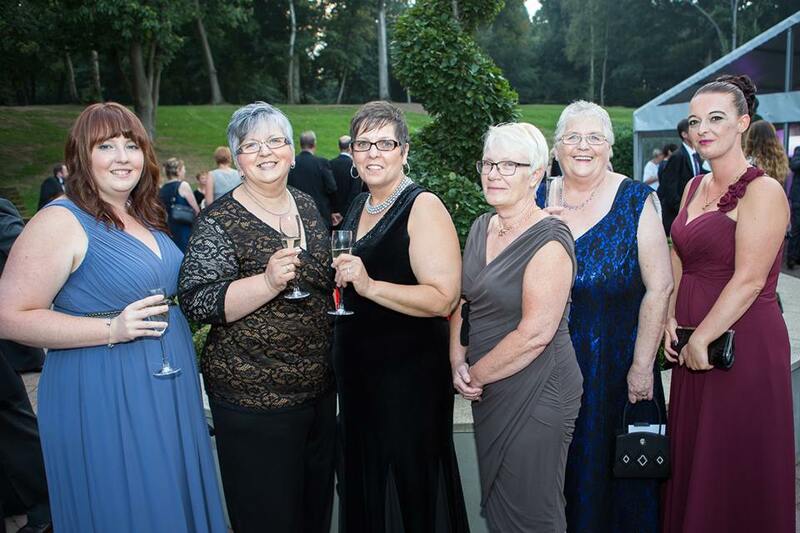 We found ourselves being shortlisted to the final 4 and had the pleasure of attending the awards ceremony held at the beautiful and elegant Kesgrave Hall on Thursday 15th September 2016. The Customer Focus Award recognises any group, individual or business that value their customers and provide excellent customer service at all time. We are pleased to announce that HCH Ltd were ‘2016 Finalists‘ in the Customer Focus Award. We would like to thank all our customers, their families and our staff for their continued support. This entry was posted on 17th October 2016 . Heritage Care at Home Ltd at the Anglia Business Exhibition at Trinity Park, Ipswich. 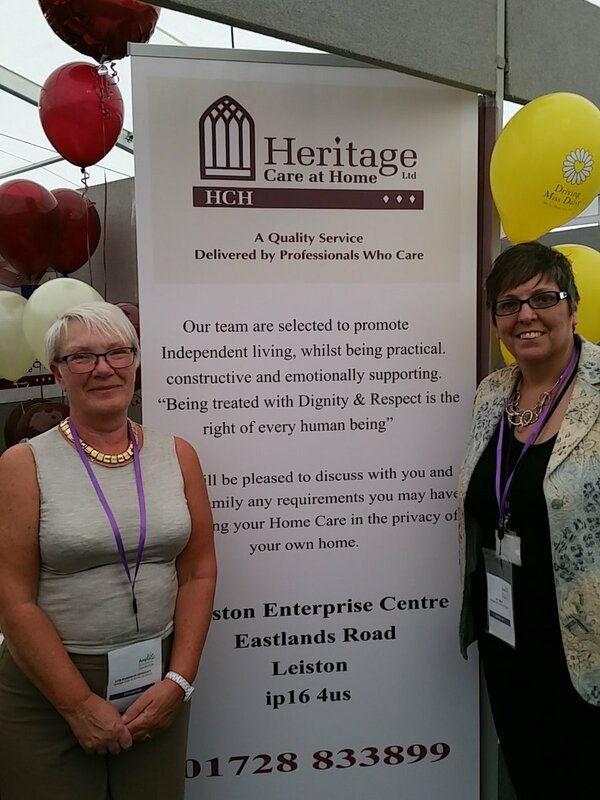 Pat and Kym took Heritage Care at Home Ltd (HCH) to the Anglia Business Exhibition on the 16th June 2016 at Trinity Park, Ipswich. A very long day but lots of networking and exciting things to look forward to in the future. This entry was posted on 16th June 2016 . Congratulations to Heritage Care at Home Ltd (HCH) for receiving “Highly Commended” at the Suffolk GEM (Going The Extra MIle) Awards 1st February 2016. 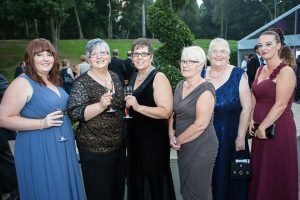 They were highly commended for the “My Life, My Independence” celebrating exciting and engaging ways to enable individuals to progress and be as independent as possible. Here at Heritage Care at Home Ltd we are celebrating our 5th Birthday during the month of January. We would like to take this opportunity to say thank you to all our customers and carers for all their support over the past 5 years. 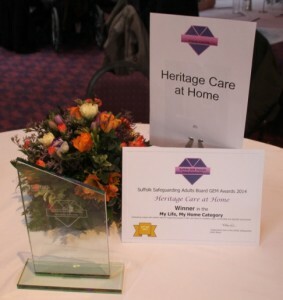 This month we are also launching Heritage Care at Home Ltd’s new logo. This entry was posted on 13th January 2016 . We had a lovely afternoon on the 21st April, here at Heritage Care at Home. The cakes were delicious and the tea kept flowing! Thank you to everyone who came and made this such a wonderful afternoon. If you would like to join our next Tea and Cake afternoon, why not give us a call on 01728 833899. Or alternatively watch this news feed as we shall add the details here nearer the time. This entry was posted on 30th April 2015 .